You control when, where and with whom you wish to fly. Save up to 75% off the normal charter cost. Pick from SaxonAir’s modern fleet of aircraft. Travel in luxury, comfort and privacy with your family and friends. 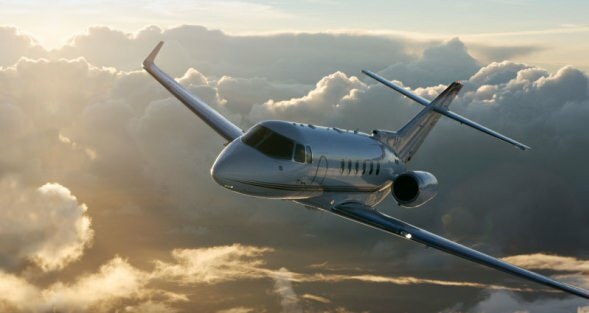 With business aviation, four days can become four and a half hours. Whether it’s a football team or a full music tour, we’ve got the skills and resources to assist you. The fast, flexible travel alternative. Pick from SaxonAir's fleet of helicopters. SaxonAir offers cost-effective helicopters for a variety of utility missions. Why not add the ultimate touch of glamour to your wedding day? Enjoy a luxury dining experience with one of our partner hotels. Helicopter sightseeing tours from Norwich Airport. We’ll take care of the details, you enjoy the benefits. Achieving better dispatch reliability, improving safety levels and reducing costs of operation. Add your aircraft to the SaxonAir Charter fleet. Take a look at our inventory of pre-owned aircraft for sale. Whether you fly a private aircraft, helicopter have an executive jet, we can look after your needs. Professional, modern ground handling services at Norwich International Airport. SaxonAir has actively encouraged and welcomed all General Aviation (GA) aircraft back to Norwich. Handling, office and hangar facilities ideally suited to support new and existing offshore ventures. Take a look at our aircraft hangars available at Norwich International Airport. Private air charter operator SaxonAir announces the addition of a Gulfstream G550 heavy jet to their aircraft fleet. The Gulfstream began operation in late May and will be the only G550 type operated from its base in London Stansted airport. 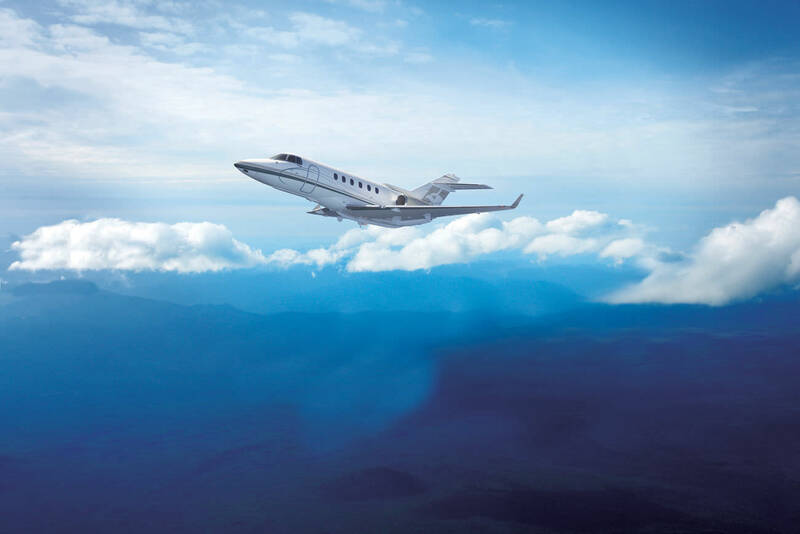 With the addition of the G550 SaxonAir have successfully gained a worldwide AOC enabling them to fly to the most popular destinations all over the globe. This aircraft has almost unrivalled range with the capability of journeys in excess of 6000nm, meaning it can fly nonstop from London to Los Angeles, Cape Town or Hong Kong. The G550 is a proven aircraft with a worldwide fleet having collectively flown over 1 million flying hours. Operating a long range heavy jet accommodating up to 16 passengers in the fleet brings many advantages to SaxonAir in the wide capability that they can now offer to their clients. This particular aircraft features a generous modern stand up cabin, individual passenger entertainment systems, Wi-Fi and a full size galley providing a full bespoke menu of freshly prepared hot food on board. The interior layout comprises of three luxury cabin zones including dual opposing four place divans that can be joined together creating a comfortable double bed or two individual single beds. SaxonAir, a European appointed representative for Nextant Aerospace, are pleased to announce very strong sales interest following the completion of the first test flight of the Nextant G90XT turboprop. Building on the experience and success of the 400XTi twin jet Nextant’s remanufactured King Air C90A is fitted with more efficient new generation GE H75 engines and the latest in Garmin G1000 avionics. Chris Mace, Group Commercial Director, said of the G90XT “Like the 400XTi, the G90XT is rewriting the rules by taking a good, familiar and proven aircraft and making it even better. As an operator, the G90XT is an exciting prospect not only offering great flexibility but reduced operating costs, lower scheduled maintenance figures, enhanced performance and better range.” Nextant conducted a lot of research with existing King Air C90 owners and listened to the responses, offering an attractive package which is sure to have impact within the market sector. The aircraft will benefit from several significant technology enhancements including single level power control for simplified operations and reduced pilot workload. 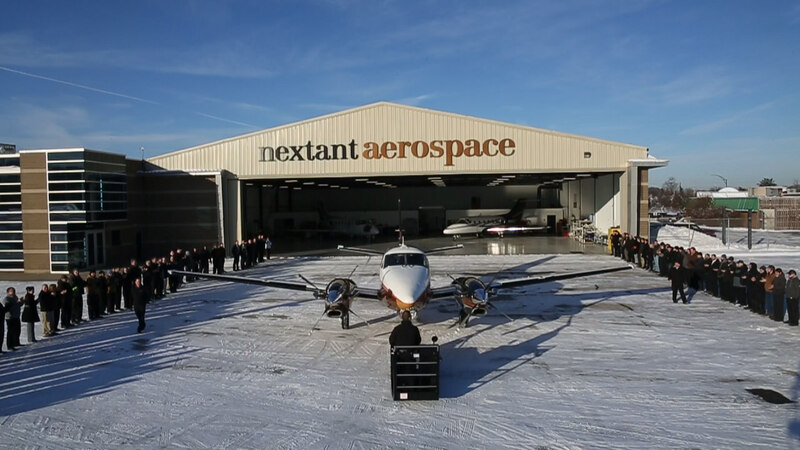 CLEVELAND, OHIO, January 15, 2015 – Nextant Aerospace (“Nextant”), a Directional Aviation Capital company, maker of the Nextant 400XTi – the worlds only remanufactured business jet – and the forthcoming Nextant G90XT turboprop, today announced the successful completion of the first test flight for the new G90XT. The company celebrated the landmark event with a rollout celebration at their headquarters in Cleveland, Ohio. The G90XT by Nextant Aerospace is a remanufactured King Air C90A that features the new H75 engine by GE. The aircraft will benefit from several significant technology enhancements including a fully integrated GARMIN G1000 cockpit, electronic engine control with complete exceedance protection, single lever power control technology for simplified operations and reduced pilot workload, digital pressurization, all new dual-­‐zone air-­‐conditioning for enhanced ground cooling in warm operating environments along with a significant interior upgrade for enhanced cabin comfort. Nextant expects the flight test program to last approximately 6 weeks and anticipates certification for the aircraft in the second quarter of this year. 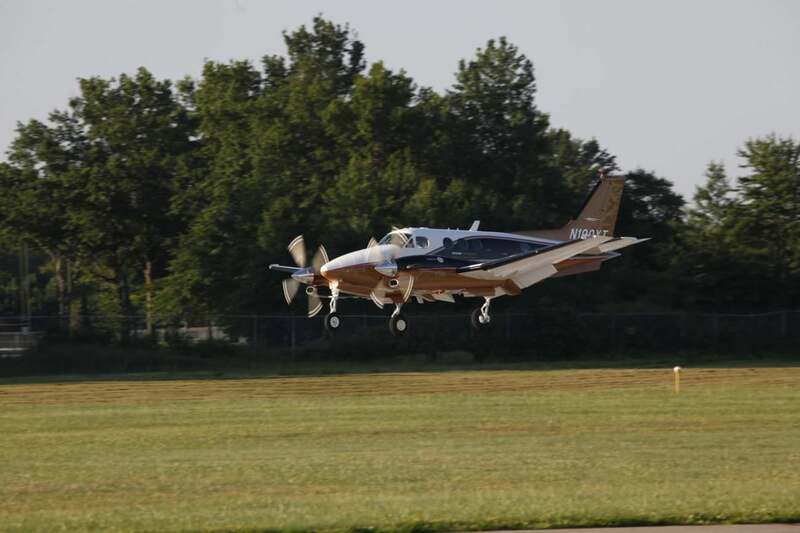 Once certified, Nextant will begin delivery of production aircraft immediately. Norwich-based SaxonAir is the latest aviation provider to discover how Centrik, the cloud-based management system from Total AOC, has enhanced its operations. SaxonAir, which provides a diverse range of aviation services ranging from fixed-wing and helicopter charter flights to FBO support and aircraft sales, has deployed Centrik to successfully transition an array of diverse systems such as safety management, compliance monitoring and intranet all into one central location. As a result of the changes, SaxonAir is improving the efficiency of its business management, consolidating the wide ranging activities of the company. All staff log in to Centrik at the start of each day, allowing instant sharing of information across the business, allocations of tasks and updates to management on the status of employees and operations alike. SaxonAir have welcomed the first Nextant 400XTi light jet onto their operating fleet. The aircraft is operated under SaxonAir’s Air Operators Certificate (AOC) and will be available for commercial charter alongside flights undertaken on behalf of the owner. This aircraft is the first of the latest 400XTi variant to be delivered into Europe, which sees it operating alongside six of the earlier successful XT variants, and the first of the type into the UK. The operation comes just months after SaxonAir were awarded the exclusive sales representation rights for Nextant Aerospace products throughout the UK and Ireland together with general coverage into many other areas of Europe. The spacious feature packed cabin incorporating fingertip climate control, sculpted wide 4-axis lateral tracking club seats and an espresso machine has proven incredibly popular with passengers. Using the latest technology including modern Williams International engines enables the 400XTi to fly further and fastest then similar aircraft, yet offers a much quieter cabin and a significant reduction in operating costs. “We’re really pleased to add the Nextant to our fleet alongside our already very popular Hawker 400XP. Our current customer base will be able to benefit from the Nextant’s outstanding range whilst also enjoying the same high levels of comfort. The Nextant has a charter range in excess of 1700nm opening up destinations such as Istanbul” says Lee McGahan, SaxonAir Charter Manager. The project to gain approvals in the operation of the Nextant has come about from a collaboration of various departments and specialists within SaxonAir’s group of companies. In excess of 6,000 hours go into the remanufacturing of each aircraft and the type has now proven its capabilities on a global scale – with the combined fleet reaching a 50,000 flight hour milestone. SaxonAir’s private charter fleet now consists of the Citation Mustang, Hawker 400XP, Nextant 400XTi, King Air 350 and two Hawker 900XP aircraft alongside various Eurocopter helicopters. SaxonAir held their first showcase at their Business Aviation Centre on November the 20th. The Luxury Lifestyle & Travel event was held to present some of SaxonAirs latest services and aircraft and familiarise SaxonAir and SaxonAir core values. The showcase also featured other bespoke luxury brands including Bell Helicopters, Kahn Design, Stratton Motor Company, Textron Aviation, Balblair Whiskey, Gillian Weir, Peter Watts Wines and many more. SaxonAir were delighted with solid attendance throughout the day, and were delighted with the positive feedback received by numerous individuals and organisations. We are grateful to our luxury partners for providing such wonderful items on display and fantastic catering. Naturally, we extend our sincere thanks to all visitors and look forward to hosting a similar event in the future. You can view pictures from the event on our Facebook Page. SaxonAir once again hosted the Royal Air Force Red Arrows this year, one of the world’s premier aerobatic teams. The team are renowned throughout the world, acting as ambassadors of Great Britain. The Reds visited us at our Business Aviation Centre at Norwich Airport on Friday 22nd August, SaxonAir always look forward to hosting the team at the airport and were especially privileged to be a part of their ongoing celebration for their 50th display season. This year the Reds mark their 50th Anniversary of display seasons from their first in 1965. A number of activities are planned in the coming months to highlight this milestone occasion and the Team hope people will join in and share the celebration. 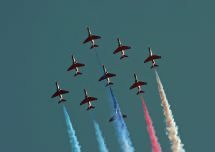 It is an opportunity for the Red Arrows to thank supporters from both the United Kingdom and overseas for their continued, and valued, interest in the Team. Use #Reds50 on Twitter to keep up-to-date with all of the news on the 50th display season and follow the Team @rafredarrows or like RAF Red Arrows on Facebook. Leading offshore safety training provider Falck Safety Services (Falck) has joined forces with aviation provider SaxonAir in Norwich to offer helicopter safety training to correspond with new offshore regulations. Falck, which is based in Aberdeen and Teesside, will provide specialist safety courses at SaxonAir’s Business Aviation Centre Headquarters at Norwich International Airport ahead of new UK Civil Aviation Authority (CAA) helicopter regulations, introducing Category A Emergency Breathing Systems (EBS). The new EBS equipment was recently approved by the UK CAA as part of a series of measures to increase the safety of offshore helicopters. The new course and equipment are now an industry requirement due to the updated guidelines which come into force on 1 September 2014, and stipulate passengers will not be allowed to sit on the inside seats of a helicopter travelling to and from offshore installations without EBS. From 1 January next year, all passengers will be required to wear the device. Falck Safety Services, which delivers realistic training in a safe and controlled environment using state-of-the-art industry standards, has recently invested more than £3.5m in its UK training facilities. The firm, which has 32 training centres across the world, has strong industry expertise servicing the global oil and gas, shipping, renewable energy, military and aviation industries, and last year trained over 340,000 people. SaxonAir’s £6.5m Business Aviation Centre is strategically located to serve the Southern North Sea energy sector and currently handles over 50,000 offshore passengers and 700 tonnes of freight movements per year. Nextant Aerospace unveiled the cockpit mockup of their remanufactured King Air G90XT at the GE Aviation booth at EAA on Monday 7th July. Attendees at the unveiling were the first to see full-scale mock-ups of the G90XT’s “cockpit of the future” and of the GE H75 engine. Nextant has already taken delivery of the first shipped set of engines and is on track for certification of the King Air-derived remanufactured aircraft by year end. The new-generation H75 turboprop saves weight compared to the PT-6 it replaces and benefits from GE’s broad experience in several key aspects. Major savings are expected in operating costs thanks to reduced fuel consumption, no hot sections and 4,000 hour TBO. 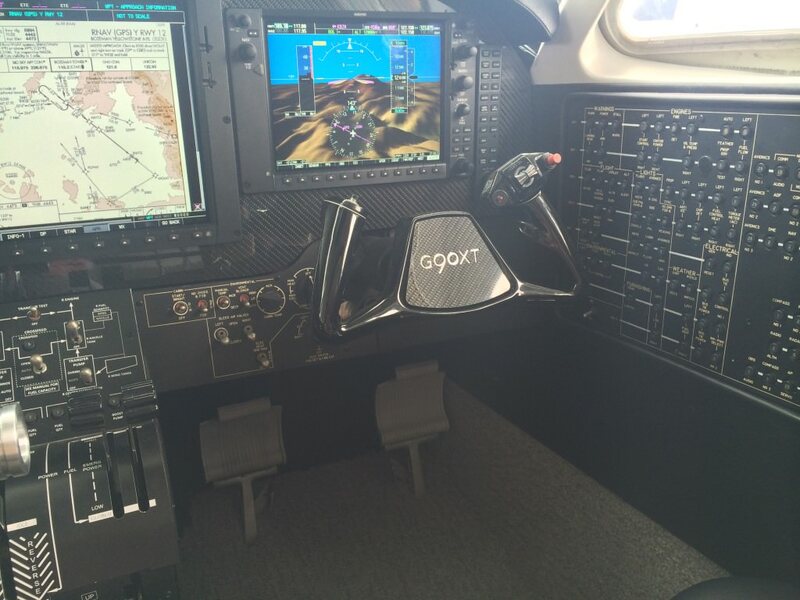 The G90XT also features an array of advanced technology from integrated electronic engine management and single-lever power control to the latest enhanced Garmin G1000 glass cockpit, digital pressurization and an all-new environmental cooling system. Like its jet stable mate the 400XTi, the G90XT also features a handcrafted interior, reduced cabin noise and aerodynamic refinements. We are thrilled to announce that SaxonAir have been titled the Best Private Jet Service at the National Luxury & Lifestyle Awards this year. The National Luxury & Lifestyle Awards is a British awards ceremony held by the Chelsea Monthly Magazine celebrating the best luxury products, brands and services. We’d like to thank everyone who voted and has supported us. Well done to all our staff who’ve worked extremely hard resulting in the award. Following the recent announcement of their rotary AOC, SaxonAir Helicopters offer the addition of the Airbus Helicopters EC155 to its fleet. The EC155 will be exclusively marketed alongside SaxonAir’s existing range of helicopters and is operated in collaboration with DanCopter. The EC155 B1 variant has excellent overall capabilities featuring a completely redesigned cabin providing 30% more passenger space than previous helicopter models and an endurance of over 1 hour 30 minutes flying time at the full passenger capacity. The EC155 will be offered in a corporate layout configuration with a capacity of 10 passengers and is operated multi-crew under full instrument flying conditions both day and night. The aircraft will be based within SaxonAir’s headquarters at the Klyne Business Aviation Centre at Norwich Airport ideally placed to also facilitate the offshore and onshore East Anglian energy sector. Operating out of Norwich the aircraft is a short flying time from London and an example flight time between London and Manchester is less than an hour door to door. To charter the EC155 contact SaxonAir’s dedicated helicopter charter department by calling +44 (0)1603 518115 or email heliops@saxonair.com. SaxonAir has announced the issue of their new rotary Air Operators Certificate (AOC). 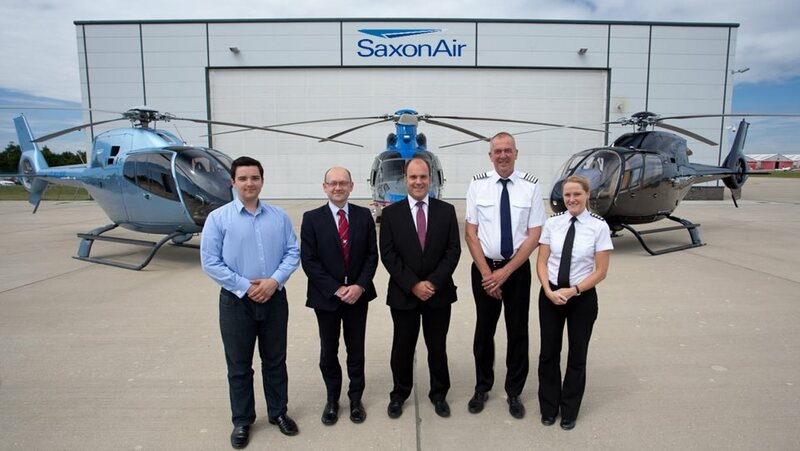 This latest development through approval from the UK Civil Aviation Authority (CAA) will allow SaxonAir to expand their helicopter operations into new markets with the addition of further helicopters to deal with the demand being received. SaxonAir have been operating its private jet fleet on their fixed-wing AOC for over seven years and in which time the aircraft fleet has expanded rapidly to include the growing development of private aircraft under management. SaxonAir’s rotary operations will trade under the name SaxonAir Helicopters having previously being carried out by the AOC of London Helicopter Centres. SaxonAir Helicopters operates leisure and business charters, pleasure flights for the tourism industry across East Anglia and the Norfolk Broads, agricultural survey contracts, aerial filming and photography, as well as specialist tasks for the energy and renewables industry. SaxonAir Helicopters forms part of the Klyne Aviation Group, which includes private and business jet aviation specialists SaxonAir Charter, ground handling and offshore support business SaxonAir Flight Support and the newly formed SaxonAir Aircraft Sales. To contact SaxonAir’s dedicated helicopter charter team call +44 (0)1603 518115 or email heliops@saxonair.com. Nextant Aerospace (“Nextant”), maker of the Nextant 400XTi – the world’s only complete remanufactured business jet – and the G90XT turboprop, has announced an expansion of its European Sales Network with the appointment of Norwich based SaxonAir. SaxonAir has been appointed as the exclusive Sales Representative for Nextant in the UK, Channel Islands, Isle of Man, and Ireland. Later this year SaxonAir will add the UK’s first Nextant 400XTi to its operation. Remanufacturing is a big topic in the UK following the recent release of an All-Party Parliamentary report on the significant potential economic and environmental advantages of remanufacturing practices ‘Remanufacturing: Towards a Resource Efficient Economy 2014’. Nextant’s pioneering process for remanufacturing business jets is now recognised as an established technical and commercial success worldwide with significant sales in every major operator category and class-leading levels of comfort, performance, and reliability at a purchase price a fraction of comparable new aircraft. Forming part of the Klyne Aviation Group, SaxonAir has continued its expansion into specialist niche aviation areas and sees the creation of SaxonAir Aircraft Sales, a new dedicated aircraft sales division. “SaxonAir Aircraft Sales and our agreement with Nextant Aerospace is creating exciting new opportunities within the group and sees the recruitment of new specialist staff to continue developing our aviation capability” Mace adds. SaxonAir’s £7 mil GBP Business Aviation Centre headquarters in Norwich will provide showroom facilities for showcasing the Nextant aircraft products with development into wider support and service centre capability. Private air charter operator SaxonAir Charter continues its growth this spring after signing an agreement to manage a further Hawker 900XP midsize jet. 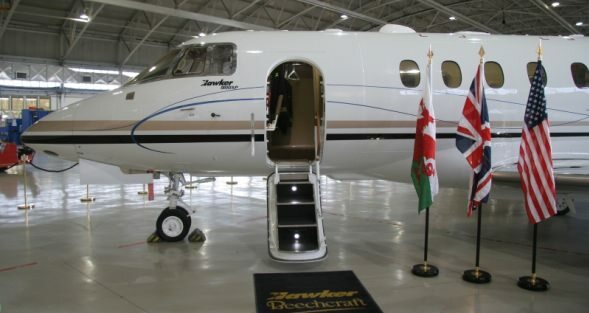 SaxonAir have owned and operated their own Hawker 900XP for the past two years and have over this time gained considerable experience of the aircraft and a regular client following. The Hawker 900XP is the world’s bestselling midsize business jet and delivers an unrivalled combination of range, speed, payload and comfort. It can travel 2,700nm carrying up to eight passengers in comfort. This particular aircraft continues to be popular with SaxonAir’s own customers due to its spacious modern layout, cabin attendant service and hot food capability. The aircraft has already flown to destinations in Russia, Italy, France and Israel since its recent introduction onto the fleet. The aircraft management deal will see SaxonAir providing crewing, continuing airworthiness, maintenance and operational support under commercial air charter use. 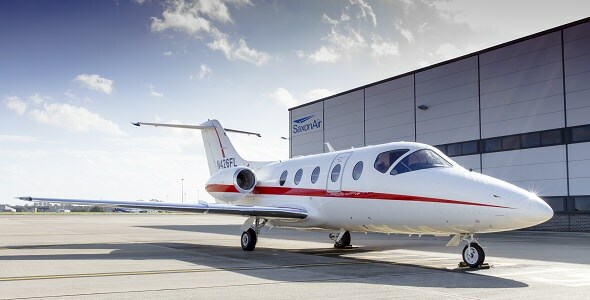 The aircraft will be based at London Luton airport increasing SaxonAir’s London presence alongside its second Hawker 900XP and the smaller Hawker 400XP light jet. SaxonAir also operates Citation Mustang entry level jets, a King Air 350 turboprop as well as a mixed helicopter fleet from its Norwich headquarters and other locations in both the UK and Europe. To charter the Hawker 900XP contact SaxonAir’s dedicated charter team by calling +44 (0)1603 518118 or email charter@saxonair.com. The positive trend for passenger traffic at Norwich Airport is confirmed in the latest CAA UK official UK airport annual traffic results released on 13th March 2014. The report lists Norwich Airport as seventh in the UK for annual traffic growth 2013 compared to 2012 (for airport with annual traffic of twenty thousand passengers or more). Total passengers are listed at 463,401 versus 396,676 being a 17% increase in people from the region using the city’s airport year on year. However, of the top 30 UK airports Norwich International growth is second overall for the percentage increase year on year (see attached map). Offshore helicopter traffic enjoyed yet another year of record growth with over 98,000 passengers travelling offshore, an increase of 18% on the previous year with Norwich now the UK’s second busiest offshore heliport after Aberdeen. Andrew Bell, the airport’s Chief Executive commented, “Posting strong passenger growth is good news for the airport and the region, as ultimately the flights that are operated from the airport must be used by the travelling public if they are to remain on offer. We recognise that we still have a great deal to do in order to satisfy the demands of the region’s business and leisure travelers alike and we are working hard to bring back routes that proved popular in the past, and to identify new route opportunities. However, the CAA result, with Norwich second out of the top 30 UK airports, is testament to the hard work the airport has undertaken over the past few years and confirmation that Norwich Airport is moving in the right direction”. SaxonAir maintains its continued growth after signing an agreement to manage a Beechcraft King Air 350 on behalf of the aircraft owner, Gresley Aviation. The aircraft has joined SaxonAir’s existing mixed charter fleet which ranges from the entry level Citation Mustang jet, to the longer range Hawker 900XP midsize jet alongside its helicopter operation. The turbo-prop Beechcraft King Air 350 continues to be the choice of flight for many companies, government agencies and individuals from around the world. This is primarily due to its mix of comfort, economy and flexibility, giving the ability to serve both major business hubs and smaller private airfields alike. The aircraft seats up to nine passengers with unmatched fuel efficiency and lower operating costs, seeing it as a greener option for the private business traveller. The aircraft management deal will see SaxonAir providing crewing, continuing airworthiness and operational support for both owner operated flights and private air charter use when not in operation on behalf of Gresley Aviation. The aircraft will operate jointly between both SaxonAir’s headquarters in Norwich and Brussels on behalf of the aircraft owner. To charter the King Air 350 contact SaxonAir’s dedicated charter team by calling +44 (0)1603 518118 or email charter@saxonair.com. 26 children from Heather Avenue Infant School in Hellesdon visited SaxonAir on the 3rd of February where they were shown around the facility and taught some basics on aviation. ‘Foxes class’ learned the process from check-in to take off and were shown around of SaxonAirs private jets and a Dan Copter helicopter. The children learnt lots about what goes on at the Business Aviation Centre, where the offshore aircraft go and everything that happens behind the scenes. A great time was had by all and rest assured when asked at the end of the visit who wanted to be a pilot when they grew up, all hands were up! 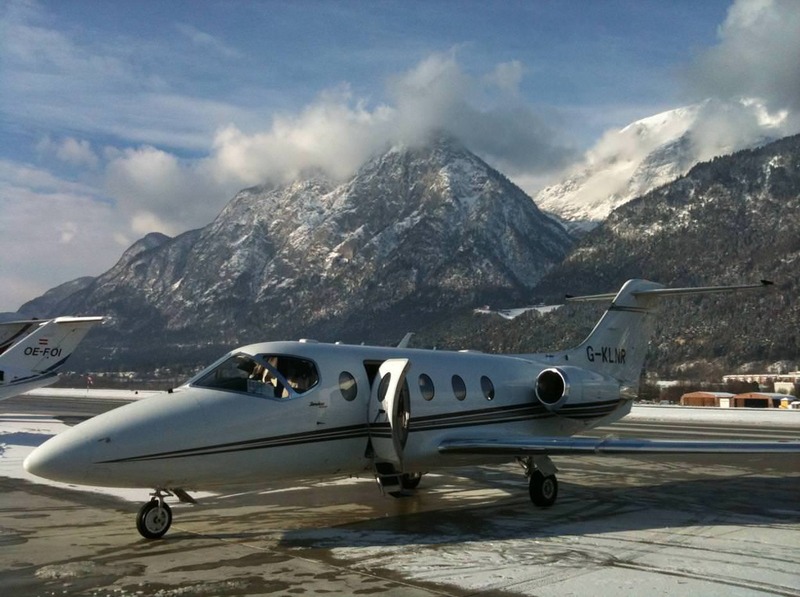 In response to high demand last year, SaxonAir has been granted approval to operate flights into ‘Category C’ airports, Chambery, Sion and Innsbruck. Due to their mountainous position, these airfields can present difficult approach patterns, peculiar weather conditions or require special knowledge of terrain, airfield or terminal area procedures. In order to qualify for approval, our pilots have undertaken special training procedures, flying in a simulator under various configurations and scenarios. This ensures the highest of safety levels are maintained and crew receive excellent situational awareness before arriving at a new airport. Demand for these destinations in 2009 and 2010 was high, especially during the ski season. Chambery Airport, in particular has experienced recent growth in popularity as a ‘gateway to the French Alps’ and is within easy driving distance to many well known ski resorts. This recent development further enhances our ability to offer our clients greater choice and flexibility, providing access to a wide range of destinations not serviced by scheduled airlines or other private air charter operators. For more information about flights to these, or any other destination, please call our operations team on +44 (0)845 1556222. 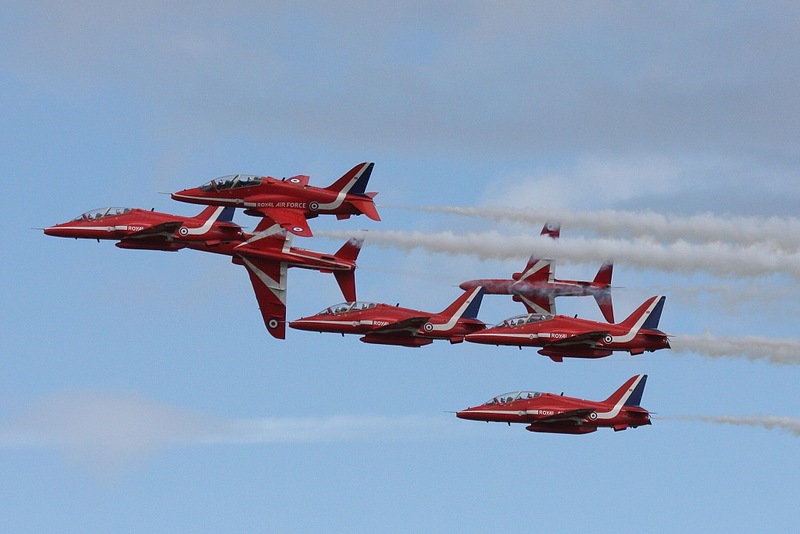 Once again SaxonAir was asked to host one of the world’s premier aerobatic teams, the Royal Air Force Red Arrows. The team are renowned throughout the world, acting as ambassadors of Great Britain. They promote the professional excellence of the Royal Air Force, assist in recruiting into the Royal Air Force, contribute to Defence Diplomacy when displaying overseas and support wider British interests through the promotion of British industry by demonstrating the capabilities of its equipment and expertise. 2013 will be the 49th display season for the Red Arrows in which they will continue to enthral, captivate and inspire millions of people both in the UK and around the world with a series of displays and flypasts at a wide variety of events. Norwich based SaxonAir Charter Ltd has seen a record increase in air charter use during the first six months trading of 2013. Aeroplane charter hours for the first half of the year increased by over 65% against the same first six months trading of 2012, with Helicopter charter hours at its Norwich base up by 41% in the same period. Christopher Mace, Group Commercial Director, believes this positive news is a further sign of increased business activity from the UK as companies see the value in optimising travel time for key staff away from both the office environment and family life. 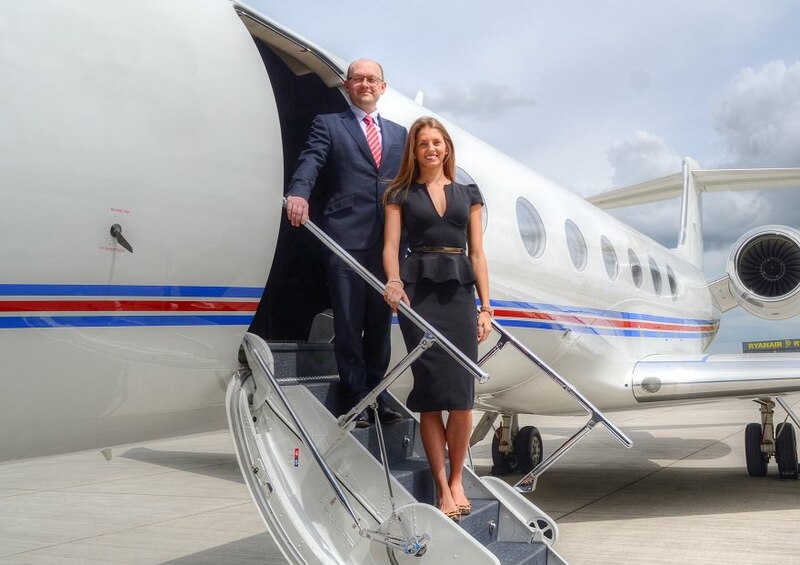 SaxonAir has recently undertaken a campaign to promote private air charter to the business community highlighting the time saving benefits, flexibility and potential boost in productivity that can be gained by using the service. Travelling with scheduled airlines can take you out of the office for several days, driving to major airports and adjusting your day to fit into the airline schedule – plus there’s the stress of delays or missing your flight if your meeting over-runs, lengthy check-in queues and pricy city hotel stopovers. With SaxonAir’s air charter service you can be in the air within minutes of arriving at your local airport, arrive refreshed and ready for a productive day’s business being back home to your family that evening – and back at your desk the next morning ensuring your business keeps flowing. “There is no substitute for meeting face to face” adds Mace, “a major contract could be in the balance, presentations to be given or multiple sites to visit. These are many of the reasons when our business clients use the service as part of their overall transport solutions. The increased use of our aircraft in the first half of this year is down to a better understanding of air charter, our staff’s commitment to customer service and the varied modern aircraft fleet that we can offer”. SaxonAir operates from their headquarters in Norwich alongside operating bases in London, Cannes and Thessaloniki in Greece. The varied aircraft fleet on offer ranges from entry level Citation Mustang jets to midsize Hawker 900XP and both a single and twin engine helicopter fleet. In its six years of operation the SaxonAir group of companies has continued to expand and today sees its total number of staff at almost 50, bringing a significant boost to the East Anglian region’s economy and infrastructure at Norwich International Airport. 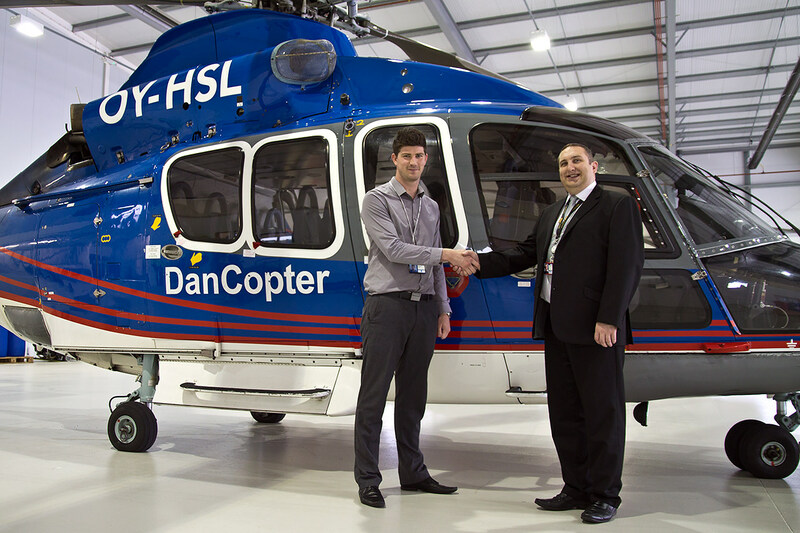 SaxonAir Flight Support Ltd has marked a key milestone in its first year of offshore ground handling with DanCopter AS. The contract involves SaxonAir handling all Shell offshore passengers and freight from Norwich Airport on behalf of DanCopter AS of Denmark. DanCopter were awarded the Shell contract in July 2012 to operate helicopters carrying passengers and freight to and from its platforms in the Southern North Sea, and as part of the award contracted all passenger and freight facilities, check-in, processing, security screening and briefing services to SaxonAir. SaxonAir own and operate from a multi-million pound Business Aviation Centre at Norwich Airport which includes dedicated facilities for both private and business aviation as well as offshore passengers and freight. The anniversary was marked with a joint open day between DanCopter and SaxonAir for all related staff, organisations and individuals involved in the operation as well as key local businesses. Over the past 12 months as part of the contract SaxonAir has handled in excess of 42,000 passengers and processed 740 tonnes of baggage and freight. Shell has been a leading player in the North Sea for over 30 years, using cutting-edge technology to maximise production from existing oil and gas fields and to develop new resources. In the UK sector of the North Sea, Shell produces over 12% of UK oil and gas with interests in more than 50 fields and operating more than 30 offshore installations which are capable of meeting 35% of UK gas demand. 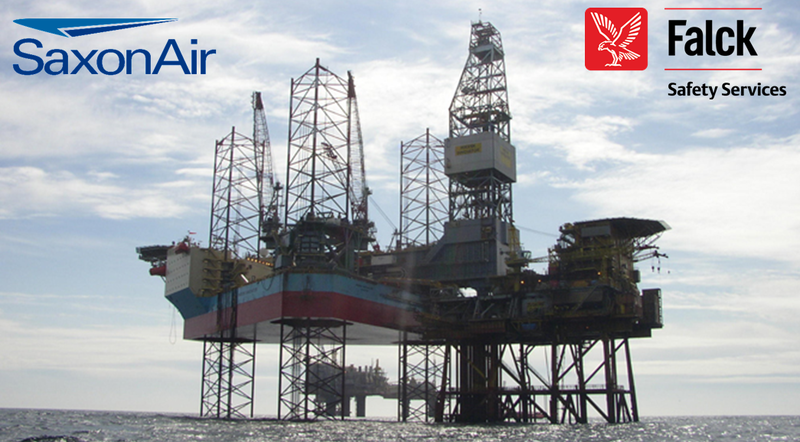 Christopher Mace, Group Commercial Director for SaxonAir says “The offshore industry is a vital part of the UK infrastructure, our services and dedicated facilities for DanCopter and Shell enables their flights to be processed efficiently and safely. We are very pleased to be working with DanCopter marking our first anniversary of the Shell operation, and we look forward to many more years of joint cooperation”. SaxonAir’s Business Aviation Centre is equipped with purpose built check-in desks, passenger lounges, café and dedicated security and briefing rooms. SaxonAir also owns and operate a modern, mixed fleet of private jets and helicopters as well as managing an extensive range of other aircraft from the world’s leading manufacturers. SaxonAir’s clients include many blue chip companies, individual business men and women, sports teams, musicians, the offshore energy industry and local private families. Private air charter operator, SaxonAir Charter Ltd has chosen AeroTrac™ Aviation MRO Process Control software from TracWare Ltd to complement their Continuing Airworthiness Management functions and future Part-145 maintenance activities. Saxon Air’s primary criteria for choosing AeroTrac™ was the savings to be made in both cost and time by streamlining the technical, logistical, commercial and financial business processes. The software package, v.2.40 Premium Plus, integrates all transactions so that any data added in one specific screen is shared and utilised in other areas of the business leading to greater consistency and a regimented, disciplined approach in performing day to day tasks. SaxonAir own and operate a modern, mixed fleet of private jets and VIP helicopters as well as managing an extensive range of other aircraft from the world’s leading manufacturers. SaxonAir’s clients include many blue chip companies, individual business men and women, sports teams, musicians, the offshore energy industry and local private families. The current charter fleet now consists of five private jet aircraft, from Light to Midsize Jets and two helicopters. This mixed fleet is operated from the head office at Norwich and other locations around London, South of France and Greece. Private air charter operator, SaxonAir Charter has announced the issue of their new worldwide Air Operators Certificate (AOC). This latest development will allow SaxonAir to expand their area of operation into new and lucrative business aviation markets concentrating on Africa, the Middle East, and Russia. A purpose built multi-million pound Business Aviation Centre and hangar facility at SaxonAir’s headquarters in Norwich was completed in May 2011; this new first class development was designed specifically to be multi-functional meeting the needs of the private air traveller together with serving the offshore transportation sector. The centre is now home to many other companies who collectively cover a wide aspect of aviation expertise and services. The current charter fleet now consists of five private jet aircraft, from Light to Midsize Jets and two helicopters. This mixed fleet is operated from Norwich and other bases around London in the UK and also Greece. * Source: Business Jet Traveller’s Readers choice survey. 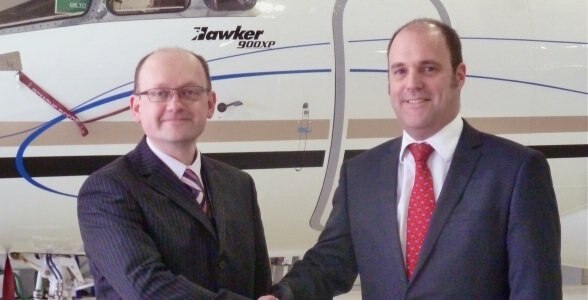 As part of their continued expansion, Norwich based air charter operator and flight support services company SaxonAir announces the appointment of a new CEO, Alex Durand, who takes up his new position within the company in early January 2013. Mr Durand, 43, brings to the role over 20 years of experience in the Business Aviation sector, most recently as UK representative for the ProAir Group, Accountable Manager of Finesse Executive Ltd and prior to that, Group Managing Director for Gregg Air. His extensive experience in leadership, business planning and development, operations and safety management will support SaxonAir’s future growth and expansion and increasing presence in the international business aviation marketplace. The new appointment will enable the existing Managing Director, Christopher Mace to take up a new role within SaxonAir’s parent company, Klyne Aviation as Group Commercial Director. Mr Mace’s primary focus will be to create new business opportunities for the companies within the group, including overseeing marketing activities, and maintaining a proactive commercial focus. 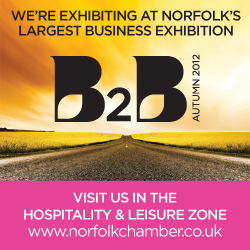 SaxonAir are exhibiting at B2B, Norfolk’s largest business exhibition. Visit us in the Hospitality & Leisure Zone. Thursday 18th October, 10am- 5pm. FREE TO ATTEND. More details available here. Our Hawker 900XP is available for viewing this week on the Hawker Beechcraft stand at Jet Expo Moscow 2012 from 27th – 29th September. Please come and see us and ask for Neil Turnbull. Moscow Vnukovo-3 Airport, Hangar 1, Stand D110. 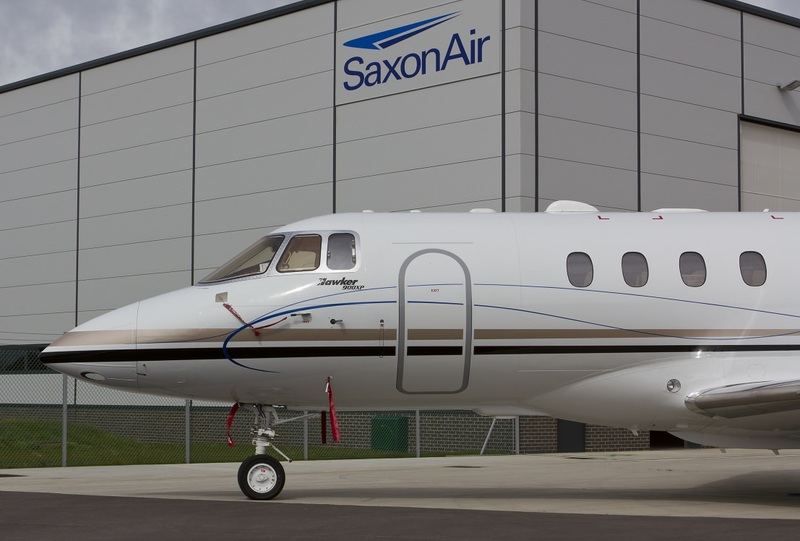 Norwich based private air charter operator SaxonAir has announced an order for a new Hawker 900XP. Delivery of the new aircraft is expected in Spring 2012. It is part of SaxonAir’s ongoing fleet expansion and will provide SaxonAir with their first mid-size jet offering a greater payload and range than the other aircraft in its fleet. The 900XP is the world’s best selling mid-size business jet. It can travel 2,600 nm carrying up to eight passengers and their luggage in true comfort. The stand-up cabin is spacious and well appointed with galley and full size private lavatory. SaxonAir will be offering the aircraft for private charter with many of the same on board creature comforts that one would expect to find on larger sized jets; a benefit that Operations Manager, Lee McGahan describes as “right-sizing”. “We feel it is important to provide our clients with the same level of service and on board benefits that they might be used to on Super Midsize and Heavy Jets. A multi lingual flight attendant, hot food, satellite telephone and wireless internet connection will all be included as part of the first class cabin service. After all, the aircraft may be occupied for hours at a time, and it is important that the client feels as comfortable and ‘at home’ as possible”, he says. The new aircraft is the latest variant of Hawker 125-series with excellent efficiencies and enhancements. The Honeywell engines are the newest generation and provide more take-off and cruise thrust whilst significantly improving operating efficiency and reducing fuel burn. The improved composite winglets also contribute to its increased range and fuel economy. Despite recent economic conditions and bucking the trend in general aviation, SaxonAir has experienced a 12.5% increase in charter flights flown and a 65% increase in handled flights at Norwich since moving into their new £7.9m facility at Norwich Airport in May 2011. SaxonAir are now selling helicopter flight gift vouchers from £125 inc. A unique gift for someone special and a wonderful way to see the beautiful Norfolk broads. 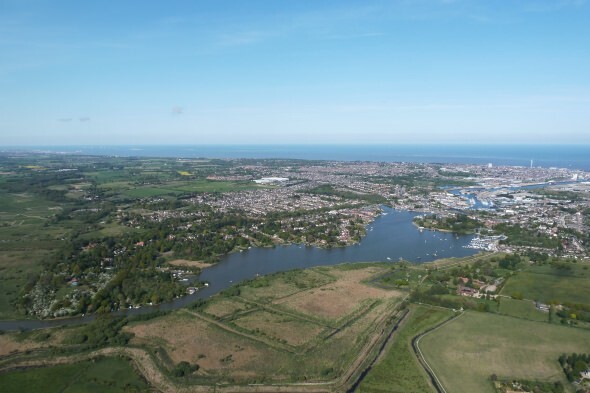 Take off from Norwich Airport in our EC120 helicopter for an unforgettable experience and a bird’s eye view of beautiful Norfolk, Norwich and the stunning East Anglia coastline. All vouchers are printed on quality card and come in their own presentation folder. Click here or call 01603 518115 for more information. SaxonAir, part of the Klyne Aviation Group announces that they have agreed terms to provide helicopter facilities and associated passenger handling services to Belgian company NHV Helicopters at their new Business Aviation centre at Norwich International Airport. 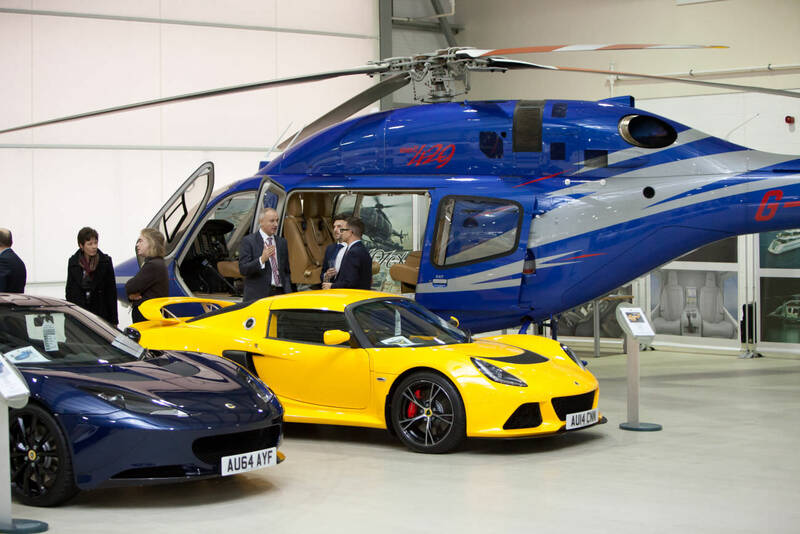 SaxonAir’s new £6.5m Business Aviation Centre was opened in May this year and offers dedicated offshore facilities. It will become NHV’s new UK operating base and the company will occupy several offices, workshops and hangar space within the building as well as making use of the passenger handling facilities. NHV (Noordzee Helikopters Vlaanderen) are specialised in all kinds of helicopter operations in Belgium, the UK, France, The Netherlands and Ghana. They provide offshore operations (hoisting and deck landings), transport of passengers and freight, medical transport, pollution control, sling operations and Search & Rescue services. The fleet consist of EC155, AS365N2/N3 Dauphin, EC145, EC120 and MD Explorer helicopters. NHV are the third tenant to take up residence in the Klyne Business Aviation Centre alongside Glennair, a Part 147 training centre, and aviation medical company, Examinair. NHV helicopter flights will start operating from the new base on 1st October 2011. SaxonAir has experienced continued growth since it was established in 2007. 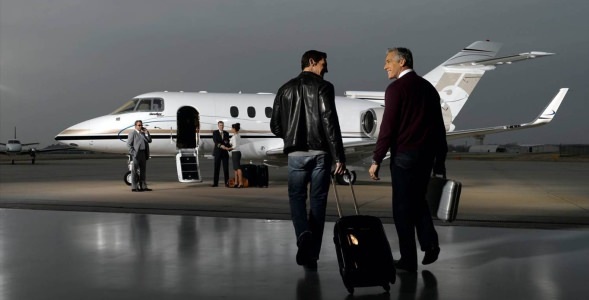 The Private Air Charter Company owns and operates a fleet of private jets and VIP helicopters as well as offering both aircraft management and handling services. 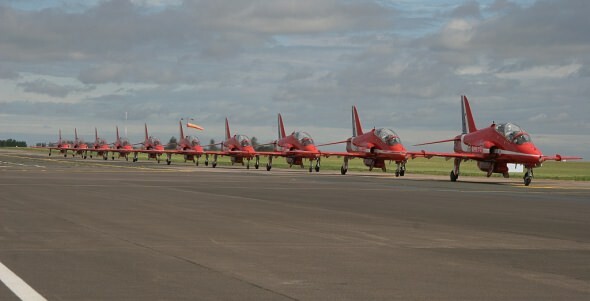 SaxonAir were delighted to welcome back and host the Red Arrows, Royal Air Force Aerobatic Team who once again used our handling facilities at Norwich Airport as its base of operations whilst featuring at the 2011 Lowestoft Air Show on the 11th and 12th August. The Red Arrows team, which consisted of 10 aircraft, 10 pilots and a team of engineers, certainly seemed to enjoy the VIP facilities in the Business Aviation Centre and were provide with lunch and complimentary refreshments before and after display times. Our handling team liaised with the airport for other requirements such as fuel and flight slots. Many of the Red Arrows’ pilots and support staff have recently returned from Afghanistan and Iraq and many will be temporarily detached on operations overseas during their time with the Red Arrows. Norwich based private air charter operator SaxonAir has added a second Citation Mustang G-MICE to its operation. The aircraft is part of SaxonAir’s ongoing expansion and comes at a time when their new multi-million pound Business Aviation Centre headquarters at Norwich International Airport is nearing completion. The aircraft will benefit from being jointly operated and marketed by both SaxonAir and Surrey based aviation company, Catreus Ltd. It will also be based from a new satellite base at Thessaloniki International Airport, Greece enabling both operators to offer private air travel in a different European region. The range of the Citation Mustang means that from the new European base, SaxonAir can fly clients non-stop to North Africa as well as other Southern Europe locations such as Turkey, Bulgaria, Italy and Malta. The new aircraft matches SaxonAir’s existing Mustang aircraft and is equipped with the same latest state of the art Garmin G1000 Avionics, including Collision Avoidance Systems and latest generation new fuel efficient Pratt & Whitney PW615F engines. The aircraft is managed on behalf of a private owner, who will allow SaxonAir to offer the aircraft to the charter market when not in use and is expected to spend a lot of time flying between Greece, Cyprus and the South of France. SaxonAir’s current fleet now consists of two Hawker 400XP business jets, a King Air 350 executive propjet, two Citation Mustangs, and Eurocopter EC120 & EC135 helicopters. This mixed fleet is operated from Norwich and other bases at Edinburgh, Redhill (nr Gatwick) and now Thessaloniki, Greece. Private Air Charter company, SaxonAir has moved into its new £6.5m Klyne Business Aviation Centre at Norwich International Airport, consolidating their existing operations into one bespoke building and hangar space. SaxonAir has experienced continued growth since it was established in 2007. The provision of the new Business Aviation Centre provides the ideal platform from which to further develop and improve operating efficiencies, further increasing their competitiveness in the business aviation market. It is the ideal handling facility for visiting aircraft and provides business travellers with an enviable first class facility to meet the growing demands of the local business aviation market. The new state of the art Business Aviation Centre comprises of a three-storey administration and passenger handling facility sited between the two large aircraft hangars. SaxonAir’s fleet of private jets and VIP helicopters now occupy one of the hangars with staff located in its associated offices. 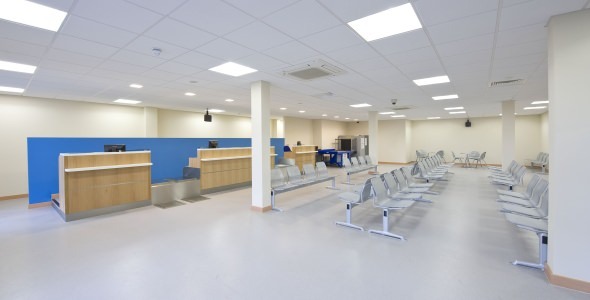 The ground floor facilities include the main reception desk, VIP lounge, flight crew rest room, training facilities, conference room and offshore passenger handling facilities. Several of the first floor offices have been leased to other aviation related companies and there is considerable interest in the available remaining space on the second floor. Discussions are taking place with several offshore helicopter and oil & gas operators regarding the lease of the purpose built second hangar and offshore passenger handling facilities. This includes four check-in desks, x-ray machines, seating for over 50 passengers and four briefing rooms. Outside, there are five dedicated AW139 size helicopter stands although larger helicopters can also be handled. Norwich itself provides one third of Norfolk’s jobs and is the largest economy, in terms of employment, in the east of England. It has been prioritised by the government as a new Growth Point; an area for major housing and employment growth. It also has the largest cluster of financial services in the eastern region and is a major centre for creative/media industries and health and life sciences. Other important business sectors include professional services, retailing, specialised engineering and tourism. SaxonAir joined business leaders and politicians from the East of England to join forces to press the Government for greater recognition and support for the region’s broad mix of energy resources. Industry association EEEGR (East of England Energy Group) sponsored a Parlimentary reception to deliver the message that the East represents the richest and most diverse energy region in the UK, but needs public and private investment to achieve its potential. 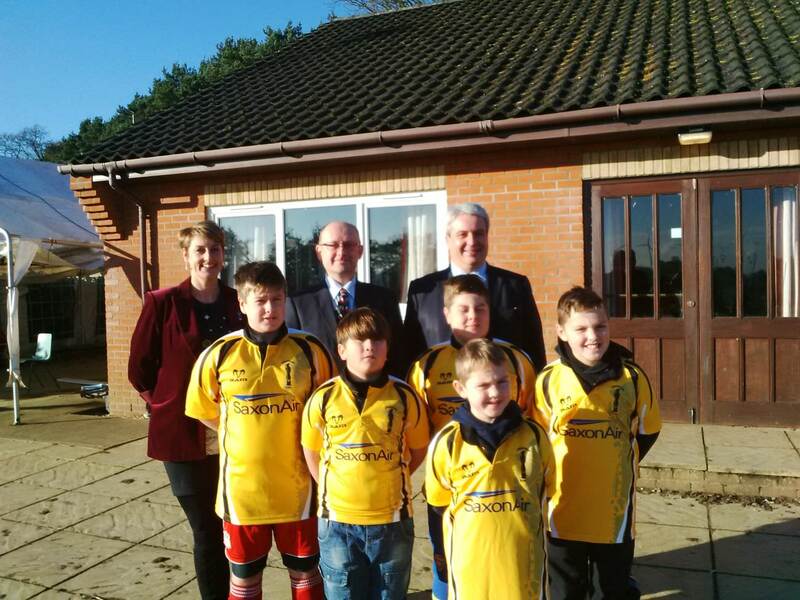 SaxonAir joined nearly 200 people attended the reception, which was hosted by Great Yarmouth MP Brandon Lewis. EEEGR executive chairman Alan Barlow said the region’s energy assets and prospects mirrored Government demands for a balanced energy mix, one which was sustainable, affordable, secure and low carbon. “Our region is a world leading all energy hub with, at a conservative estimate, £50bn worth of business to be won and a compelling case for investment. But Government’s subsidy support to Scotland and northern England creates an imperfect market”. SaxonAir’s own Business Aviation Centre at Norwich Airport is due for completion in the second quarter of 2011 will operate as a hub for a variety of aviation logistic operations including offshore helicopters, private passenger charter and urgent freight movements. Have you used private air charter before? © 2007 - 2019 Klyne Aviation Limited. All Rights Reserved. Klyne Aviation Limited is a company incorporated and registered in England and Wales with company number 06765562 & VAT number of 945657678 whose registered office address is Broadacres Waveney Hill, Oulton Broad, Lowestoft, NR32 3PR(“SaxonAir”) and is the holding company of the SaxonAir family of companies as listed below.